Jean studied evolutionary and environmental biology at Dartmouth College in New Hampshire. In 2008 Jean developed a Master’s project through a unique collaboration between the University of Montana, the Taku River Tlingit First Nation, and Round River Conservation Studies. 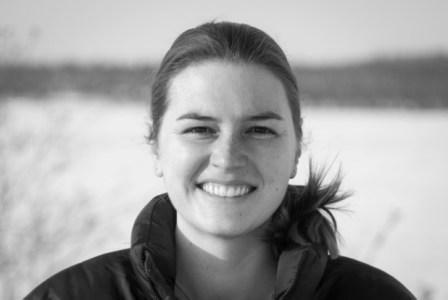 Her research supported the management initiatives of the First Nation by using an innovative combination of modeling approaches to determine the cumulative effects of human developments on woodland caribou, including the development of robust habitat models based on the traditional knowledge of the First Nation. Jean has a strong interest in art which complements her academic career. She approaches both art and science as explorations of the natural world as they each arise out of the process of noticing patterns in behavior, space, and time. Jean is an avid cross country skier and competed at an elite level at Dartmouth College.